Next on The Scoop: Have You Ever Given Your Cat Medical Cannabis? Would You? 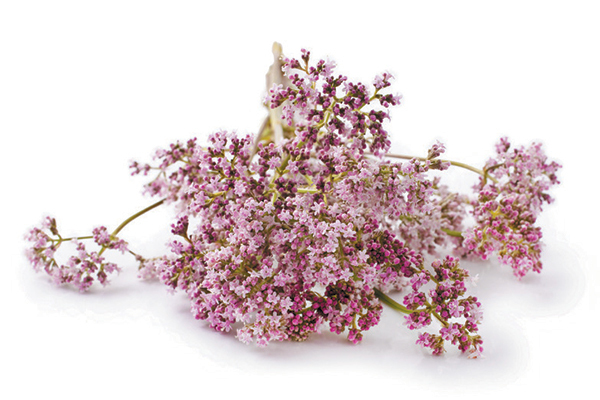 You know about catnip, but what about silver vine and valerian root? 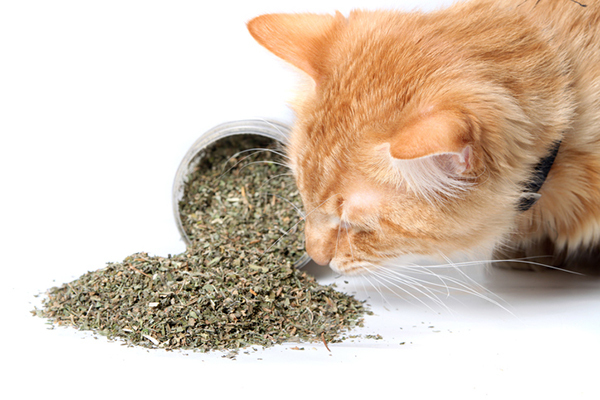 Check out these five herbs that will give your kitty a completely safe and legal high. Cats are encouraged to indulge in all sorts of mind-bending herbs! I envy my feline friends for a lot of things, and this one is not the least of them. It should go without saying, but word of warning: never, ever give your cat any substance (legal or not) intended for humans unless it’s been prescribed by a vet. Everyone who has ever lived with a cat knows about the big daddy of kitty highs: catnip. But there are several other substances your cat can use for her recreational enjoyment, some of which might even work better than the all-pervasive catnip! 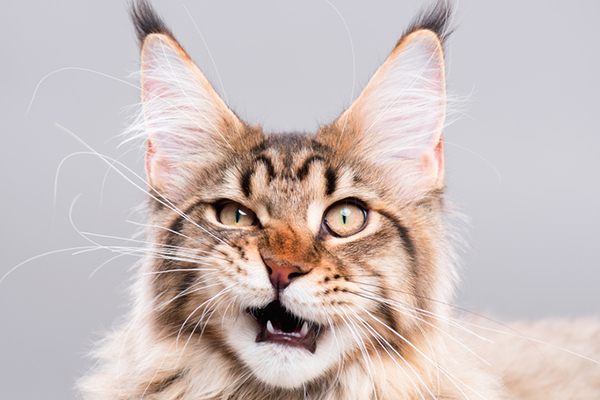 Let’s take a look at each intoxicating substance and what they can do for your cats. 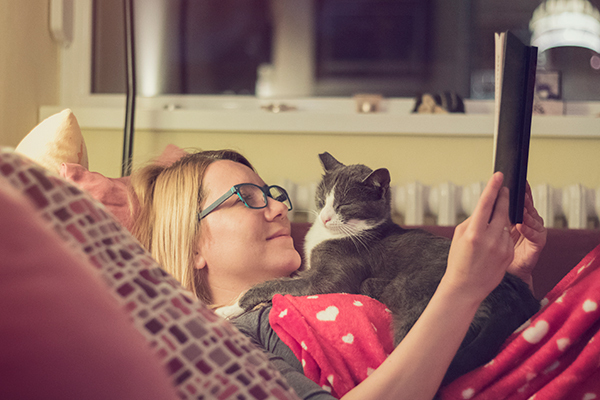 Your cats can enjoy them all freely, without repercussions. Lucky cats. A couple of pinches of catnip. Photography by gvictoria / Shutterstock. While everyone knows about its heady effects on felines, did you realize that approximately 30 percent of cats actually don’t respond to Nepeta cataria (the Latin name for catnip)? And usually it has no effect on young kittens. In fact, my blogging cat Sparkle ignored it until she was about two years old. Then she became a believer and joined my other two kitties, Binga and Boodie, in enthusiastic appreciation for the herb. Either dried or fresh out of the garden, catnip is a great kitty high. What’s important is the essential oil that permeates the plant. Just a few sniffs makes cats euphoric. Crush the fresh leaves and stems or rub the dried nip between your hands to bring out the oils. Like many herbs, catnip does well in poor soil and good sunlight, so it is easy to grow. Don’t water it too much and pinch back the leaves to keep it bushy (do share your pinchings with your kitties). And remember to fence it off or place it somewhere where it won’t be enthusiastically demolished by the neighborhood cats! Dried catnip should always be stored in a dark container or a cupboard — light will degrade the essential oils. Even better, store it in your freezer. It will stay fresher longer — plus the chances of your cat finding the stash will be practically nil. If you are wondering about catmint, it is related to catnip, but it’s a completely different plant, Nepeta faasseni. Many cats will eat and enjoy catmint, but it does not have the same stimulating effect as catnip. Actinidia polygama, better known as silver vine, is a longtime favorite with cats and their people in Asia. It has only begun to find its way into the paws of Western felines in the past few years. Silver vine may be an even more intense high than catnip (although since your cat can’t tell you, who’s to know for sure?). Cats in Asian countries are given leaves and stems fresh from the garden to lick and roll around on. In the U.S. and Europe, silver vine is usually found as a light brown powder that is quite powerful. Just a pinch sprinkled on a washcloth, cardboard scratcher or plush cat toy will send your kitty into throes of ecstasy. 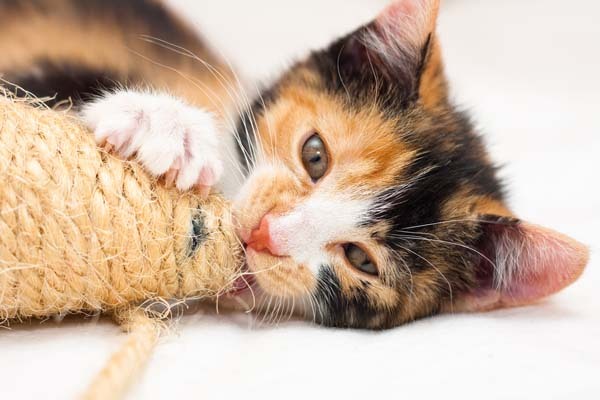 Cat toys laced with silver vine are also making their way into the marketplace. Cats love valerian root (Valeriana officinalis) with a devoted, drooling passion that will only be matched by your own revulsion to it, because valerian root has a most repugnant scent. Think of your brother’s stinkiest stale gym socks — it is that kind of bad. I have some valerian root, which I give my cats in small doses on special occasions. The rest of the time, the stash sits in my well-ventilated enclosed patio, where its odor won’t permeate the house. You might be able to keep some inside if you put it in an airtight, hard plastic container — mine is in a baggie, and the cats know when I bring it in. The active ingredient is actinidine (which is also contained in silver vine), and just a couple of small chunks of this root will suffice in getting your cat very stoned. 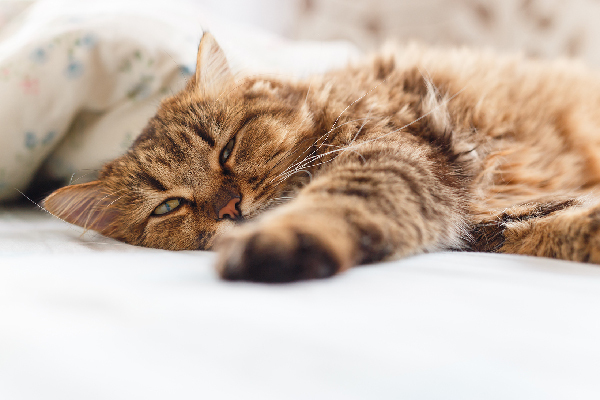 Curiously, while valerian has a stimulating effect on cats, humans have used it as a natural sleep enhancer and muscle relaxant. You can find valerian-laced cat toys from independent craftspeople. Do a search on Etsy.com or another site like it, and chances are you will locate several toymakers. If your cat is one of the 30 percent that is indifferent to catnip, honeysuckle is worth a try, since it tends to affect cats that don’t care for the nip. I had no idea honeysuckle was a cat intoxicant until I began seeing small fleece toys containing honeysuckle shavings at cat shows. Not every type of honeysuckle has an intoxicating effect on cats. It’s the woody part of one specific plant, Lonicera Tatarica, that lures cats into its potent grip. The berries of the plant, however, are poisonous, so it is best to get your honeysuckle from a reputable source, and even better to have the wood shavings, sticks or sawdust encased in a cat toy. If the effect starts to diminish, wet down the toy — water revives the scent. What’s this cat doing? Photography by fotostok_pdv/Thinkstock. Like juvenile delinquents, cats tends to search out cheap and easily obtained highs, so don’t be surprised if you find your cat huffing something she has picked up around the house, such as a dirty sock or a recently worn shoe (maybe that’s the valerian effect). Or sometimes they will get stoned on something completely puzzling — once I brought home a new yoga strap that Sparkle gleefully whiffed. 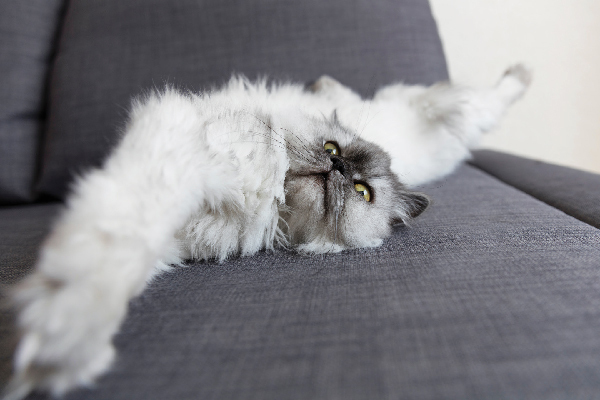 If you find your cat rolling around with a piece of clothing, paper or herb, make sure it is safe for her to lick and chew on. If it is, then what’s the harm? Let her live it up! 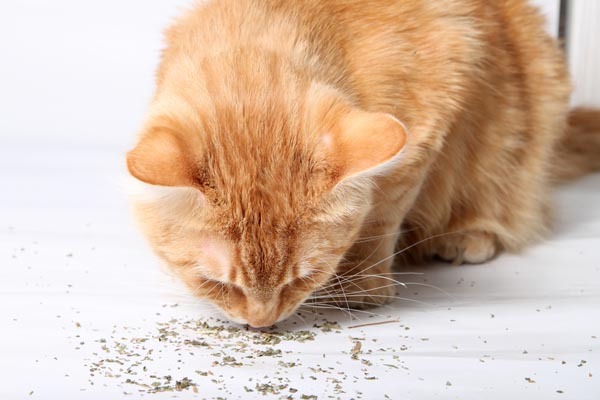 Tell us: Does your cat love catnip or any of these herbs? What gets your kitty “high” or “stoned”? About the author: How does someone go from a respected rock journalist to a blogging cat’s underling? Don’t ask Janiss Garza — she’s been there and done that and is as confused as you. All she knows is that one day she was helping Lemmy Kilmister of Mot├Ârhead pen his autobiography and the next she was assisting her feisty Somali feline, Sparkle the Designer Cat, on her books and her blog at sparklecat.com — and without any credit! Fortunately she still sometimes manages to write under her own byline. She also has her own indie publishing company, FitCat, in which she nurtures other writers’ talent. As you mentioned that they are all legal to use in cat food. Can you provide the source from FDA that they are allowed to use? My cat absolutely hates the smell of Valerian he looks like he is being hit in the face any time he smells it. Oh, silver vine is primo stuff (if you’re a cat). Mamacat & The Cub are picky about ‘nip, but they love to alternate silver vine buds with a fave ‘nip brand for hard-headed kitties. One fascinating thing about ‘nip is, after a day or so of play, they develop a resistance to its effects (SVine can be stronger. It lasted 2 days with my guys; the next morning, they stole our first sample bag & emptied it). But yeah, 48 hours later they lose all interest in the stuff that made ’em crazy, & ignore the ‘nip toys they embraced the day before. So, some 36 hours after a big Nip Trip, I sweep up the leftover herb & place the neglected toys aside. In a few days, my little psychonauts are eager to fly again. My black cat Merlin likes the smell of bleach. I found out when I cleaned a spot on the kitchen floor with a spray cleaner w/bleach. After it was dry, he rolled around on it like it was catnip. He also likes adhesive – like on packing tape and labels. He’ll lick it, then try to eat it. Needless to say, I don’t let that happen. But when he hears the tape dispenser or anything taped being opened, he comes to see if he can get lucky. My kitty “Sunny”(12 years old) goes Koo Koo over mini pumpkins! He rubs all over them and I still have some from last Halloween and it’s May now! Not so much rubbing his head all over anymore, just once in awhile. So funny. I have a picture of him and his pumpkin that is so cute! I had a black cat who went nutso over Pappy’s Seasoning. I’d pour a little of that on the ground and she’d roll in it, rub her face and body in it – she responded to that much more so than with catnip. My cat recently had several teeth extracted. Whatever was in the pain meds our vet gave him really had him in orbit. He’s always seen “ghost” bugs in the house, but that afternoon he was eating them! It was freaky. Edmond reacts both ways to catnip, it either stimulates him, or mellows him. As omg as he’s happy. I have an olive wood cutting board that one of my cats rolls and rubs on like a big, hard plank of catnip!